On Thursday, August 30, 2018 my beloved wife, Patricia Jane Turner passed away. Patricia was born in Violet, Louisiana on February 3, 1948. Patricia and myself were married, a beautiful union, for 44 years. 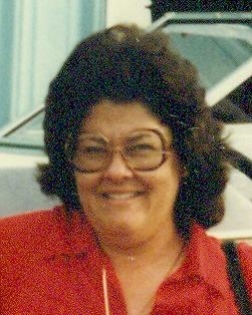 Patricia is preceded in death by her parents, Jane Roberts Garcia and Robert H. Garcia; her mother-in-law, Agnes Mary Turner; father-in-law, Terrence R. Turner; her sister-in-law, Marilyn Turner; her brother-in-law, Terrence Turner, Jr.; two sisters, Peggy Henry and Freda Bauer; and her sister-in-law, Debra Garcia. Patricia is survived by her husband, Robert L. Turner; her siblings, Katherine McKay (Charlie) and Robert Garcia; and her brother-in-law, Peter Bauer. She is also survived by many nephews, nieces and cousins. Pat was at her best helping others. Family members and friends could always count on her for support and assistance. Patricia always worked hard to solve any problem and concerns. She enjoyed working in her garden. Plants and flowers were always trimmed accordingly. Patricia loved to spend leisure time on the water. She was ready to go fishing, crabbing, and any boating activity. Relatives and friends are invited to attend the visitation at Greenwood Funeral Home, 5200 Canal Blvd, New Orleans, on Saturday, September 8, 2018, starting at 9:00 AM, followed by a Funeral Mass at 11:00 AM. Burial will follow in St. Bernard Catholic Cemetery. In lieu of flowers, Masses are preferred.